You can store music in smartphones, tablets, MP3 players and laptops. But what about Android wear devices ? Yes, there too. Google has added music feature to Wear devices with the recent OS update to 4.4W.2. Initially update your OS as well as Google Play Music versions (on the device) to the latest versions. What’s next ? 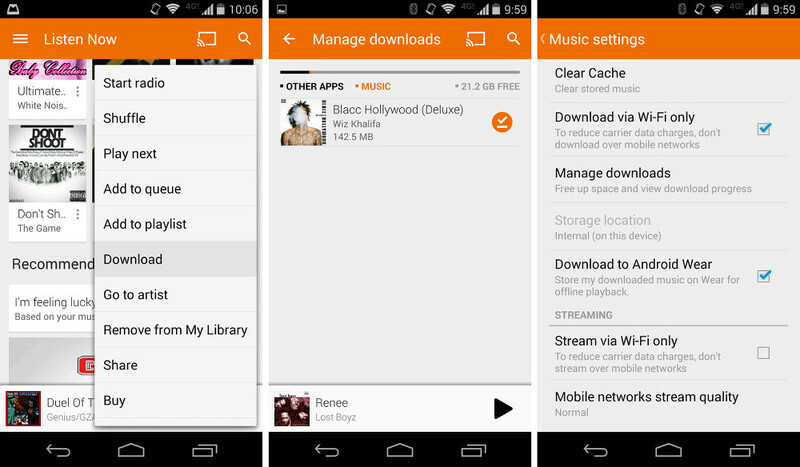 Go to Google Play Music app on the smartphone, click on settings. Next to storage location, you can find one option “Download to Android Wear”, check the box. Any music stored or going to be stored on Android device will be automatically transferred to the watch. You need not perform any further action for that. Enjoy the music with suitable bluetooth devices.